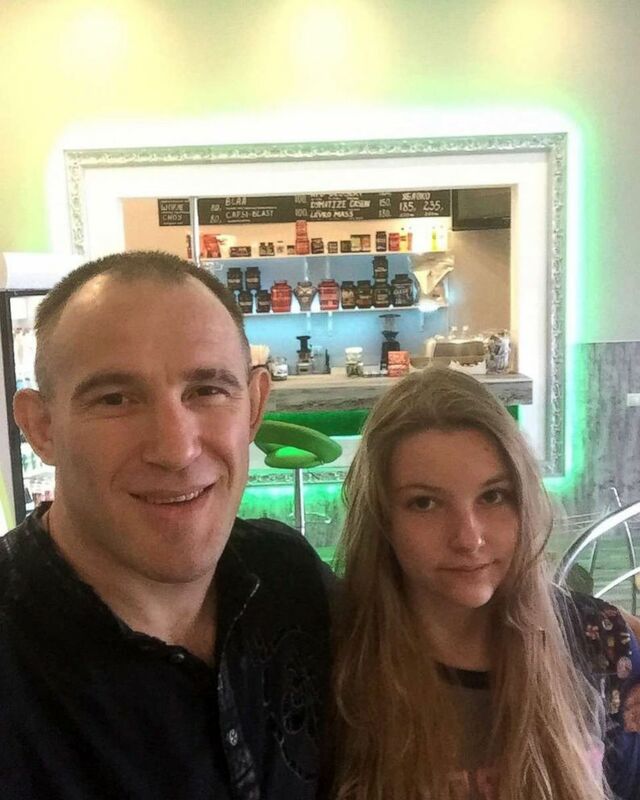 Alexey Oleynik's daughter attends Marjory Stoneman Douglas High School. 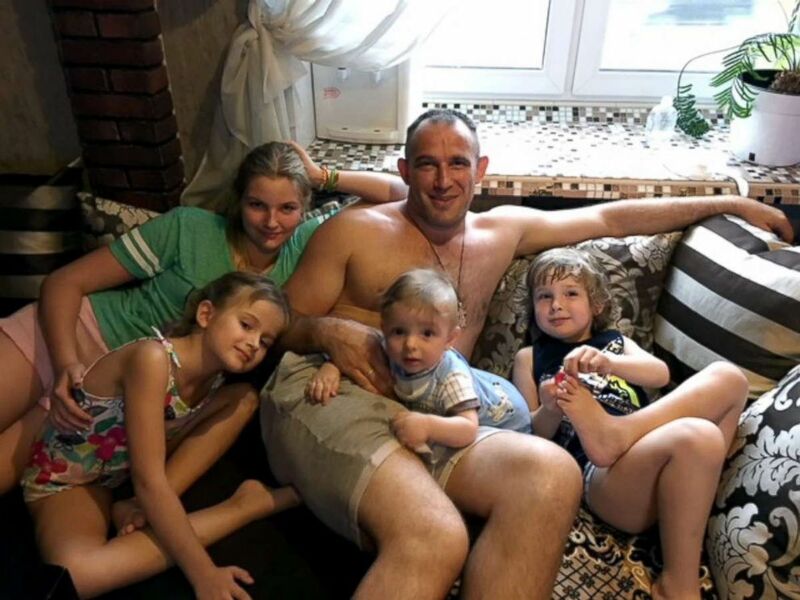 Alexey Oleynik is a UFC fighter whose daughter is a junior at Marjory Stoneman Douglas High School in Parkland, Florida. Opinions expressed in this column do not necessarily reflect the views of ABC News. I read the text again just to make sure it was correct — it was. As the father of five kids, ages 2 to 16, I was consumed by thoughts of death and violence. My daughter is a student at Marjory Stoneman Douglas High School in Parkland, Florida, and was texting me from the mass shooting that would claim 17 lives and injure many more. Thankfully, Polina survived and was uninjured, but for several hours I struggled to retain the composure I have during fights. Her text reminded me that I am a father first, and a fighter second. (Courtesy Oleynik family) Alexey Oleynik, left, with daughter Polina in this undated photo. My mixed martial arts nickname is “The Boa Constrictor” because I regularly choke my opponents into submission. But, this text, received as I was preparing to leave for Russia on a work trip, left me feeling utterly helpless. My daughter updated my wife and me with a text message every 10 minutes or so. Each text gave us the gift we wanted more than anything else — knowing she was safe, for now. Then, between each text, I felt powerless, feeling a growing sense of panic. The reality is, as a professional fighter, I have the luxury of preparing for months for each fight. I train my body to peak fitness and develop a mental strategy to overcome my opponent’s biggest threat. All that preparation, study, visualization and training gives me a tremendous feeling of control. When my daughter was sending me her texts, I was scared because I had no control over her situation. (Courtesy Oleynik family) Alexey Oleynik, center, is seen with four out of his five children in this undated photo. From left; Polina, Diana, Pavel and Aleksei. Eventually, we managed to get close enough to the school so we could pick up Polina. She had escaped unharmed, thanks to the brave assistance from her teachers and school staff. Just as my fighting career owes a great deal to advance preparation, the Marjory Stoneman Douglas school staff had carried out many emergency drills. That preparation helped to keep the children relatively calm on the day of the shooting and probably reduced the number of casualties. Of course, many parents and relatives lost loved ones. My family sends our deepest condolences to each and every one of those families that are now grieving.